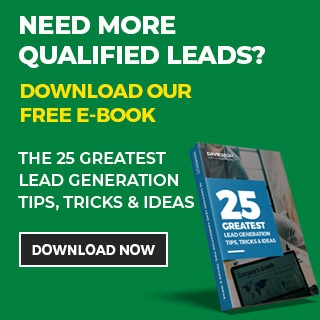 "Get us more leads" ...this is the line we're often greeted with by prospective clients. Our core goal as a B2B inbound marketing agency is to generate leads for our B2B clients. Creating a brand DNA is the first step toward this. To do a great job, you need to clearly understand your company's purpose, aspirations and values, and how they are going to position themselves to win relative to the competition. In short - you need to know your brand. What we're talking about is defining the corporate brand in order to win work. However, I don't actually talk about 'brand' in a pitch meeting with an oil & gas engineering firm or hard-nosed partners in a law firm. I talk about winning. The basis of winning is understanding and defining the brand. It's the foundation on which the house is built - it's the 'warp drive' that takes you and the crew of your Enterprise to new unexplored frontiers. Don't talk about brand, I talk about winning. But winning is all about understanding your brand. Without a clear definition of the 4 key elements of the brand you don't stand much chance of winning the work you should be winning. You need a clear definition of the brand elements to develop a structured digital marketing or inbound marketing strategy that will deliver you leads. 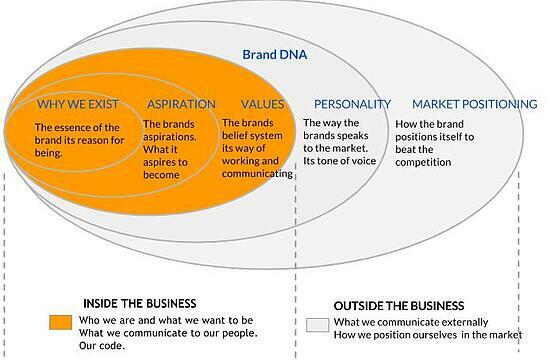 Interbrand's brand onion is a great blueprint for creating a brand DNA. 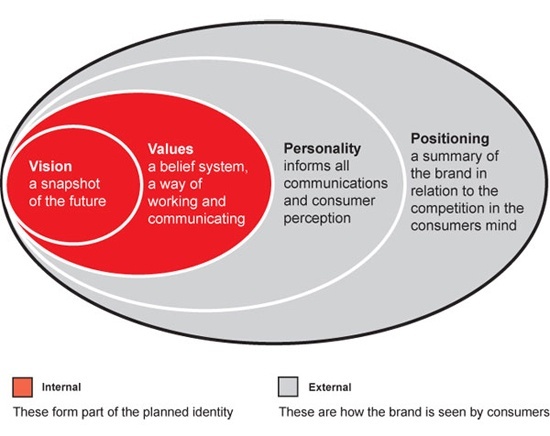 It outlines the 4 core components that make up a brand. The company's vision and values - which are used internally, and the personality and position - the drivers and blueprint for how the brand will be positioned in the marketplace to compete and win new business. At Davies BDM we've pimped this model slightly to include a core idea (The Simon Sinek 'why we exist'). We've also tweaked the descriptors of the two sections of the onion. The orange section is 'inside the business'. This provides a blue print for staff and is used internally to focus effort and energy. The grey 'outside the business' section consists of the brand presonality and position. These elements govern the external client facing elements of the brand. Working with your leadership team, staff and customers to develop your brand blueprint, (brand DNA or brand map) is the foundation to develop a marketing strategy that works. It is also the basis of developing a service strategy that is valuable to your customers, and an organisation that makes sense to your people. We recently worked with Mak Water to develop their brand DNA. Through a series of brand workshops with the leadership team we recognised that the brand wasn't clearly defined. The team is loyal and smart. They have an internal design and engineering department committed to designing smart solutions for every customer worldwide. However, none of this was captured in a brand DNA. The business's reason for exisiting is to 'make water work' for their industy clients. So we captured this in their core idea. Mak Water is now developing its position around their smart solutions. They aim to outposition bigger rivals and small players who typically produce off the shelf solutions without the innovation and smarts Mak Water can deliver to its clients.